Enter your email address below to receive a notification when Suspendermen Top Shelf starts accepting new sign-ups! 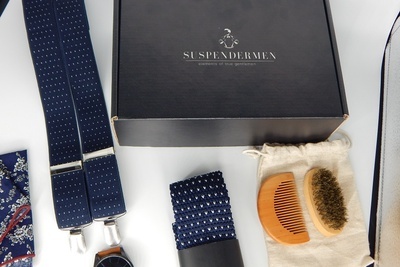 Enter your email address below to receive a notification when Suspendermen Top Shelf is accepting new sign-ups again. 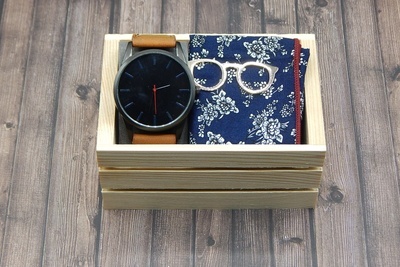 We ship 2-3 business days after we receive payment. 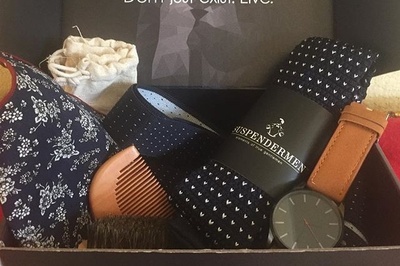 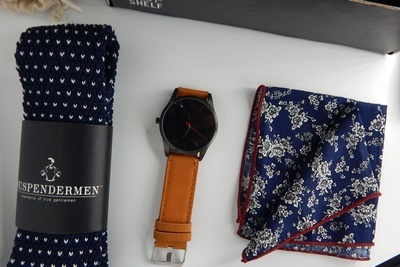 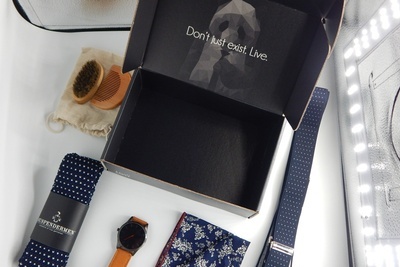 Your first Top Shelf subscription box will include: a dapper pair of suspenders, a minimalistic watch , a handcrafted knitted tie, one paisley pocket square , a wooden comb, also a wooden brush, one mystery bonus item and Free Shipping anywhere in the U.S. Our Top Shelf box is perfect for any gentleman. 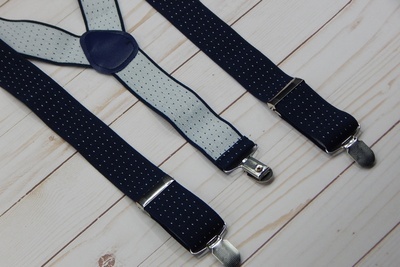 Especially if you like suspenders. 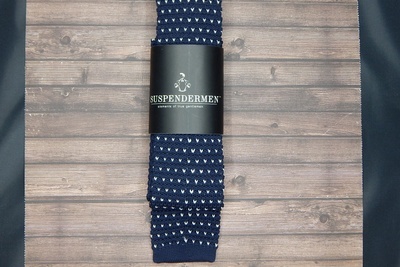 Suspendermen Top Shelf doesn't have any reviews!